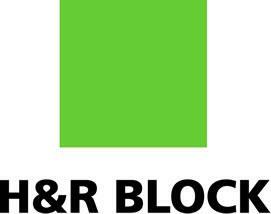 A phishing scam is being reported around the country targeting customers of Kansas City headquartered H&R Block, Inc. Intended victims typically get text messages claiming there are problems with debit cards. The victim is asked for private information including credit card numbers. Read more here. A bill that could eventually exempt Kansas from new federal health care regulations has been getting a hearing at the Statehouse. The measure would add Kansas to a health care compact that wants to replace federal programs, including Medicare and Medicaid, with block grants to the states. Once 20 states sign on, Congress would be asked to approve the agreement. Read more here. The Missouri House has begun debate on a bill that would require voters to show photo identification at the polls. House leaders had intended to hold a first-round vote on the measure Monday, but it was delayed because of the large number of Democrats who spoke against the bill. Find our more here. Two bills that would provide incentives for building underground data storage centers and for drawing amateur sporting events to Missouri have cleared a State House committee. They’re now headed to the House floor. If they pass there, Majority Floor Leader Tim Jones (R, Eureka) says he thinks they’ll have a fair shot at being passed by the Missouri Senate. Learn more here. The controversy over illegal immigration is pitting Republican against Republican and business against immigration hardliners in Kansas. A coalition of business and farm advocates have proposed legislation to help some who are in the country without legal documents stay beyond expired visas in an effort to support the state’s meat and dairy industry. Secretary of State Kris Kobach made voter fraud by illegal immigration the centerpiece of his 2010 campaign,So it was no surprise when the states chief election official ripped into the proposed bill. Read more about the controversy here.